Liberal hypocrisy is the act of a liberal saying or doing a certain thing for which they condemn others in doing. Liberal hypocrisy can extend as far as condemning a conservative position yet embracing the same position it if it becomes a liberal position. A recent example of liberal hypocrisy is that liberals will often criticize George W. Bush for drinking in his youth, although they do not criticize Barack Obama who blatantly admitted to using drugs and who smoked  well after sponsoring a harsh tabacco bill and drinks alcohol . Several years later, Obama realized he was exhibiting liberal hypocrisy to his children regarding his smoking, and in a rare display of common sense, finally stopped. This demonstrates that openmindness can overcome liberal hypocrisy, even among its most ardent practitioners. Sadly, liberals did not follow Obama's example, and still (unfairly) heap criticisms on others. "I fought very hard for the food assistance money in the Recovery Act, and the fact is that participation in the food stamps program has jumped dramatically with the economic crisis, from 31.1 million persons to 38.2 million just in one year." "But I know that states across the nation and my own state of Connecticut also desperately need these resources to save jobs and avoid Draconian cuts to essential services for low income families." The "food assistance" money she is referring to is the Food stamp program, which provides money to needy families who live at or below the poverty line. For the aid bill, Delauro voted to remove approximately $12 billion dollars from the food stamp program. Fisher ignored the fact that the Tea Party was created in response to an increasingly-repressive, over-taxing, and power-grabbing central government; it has its origins with the Boston Tea Party and the conditions which caused the American Revolution, conditions which are cited within the Declaration of Independence. Fisher herself played Princess Leia in the Star Wars films, which involved her character being on the side of a rebellion against a corrupt, repressive, and power-grabbing central government. "Contributions" to a cause does not have to be in terms of money; it can also involve using the public airwaves. MSNBC has continually presented programing and hosts hostile to conservatives and the Republican Party, while at the same time being supportive of the Democratic Party and liberalism in general. MSNBC currently presents nightly programing similar to Olbermann's, hosted by Chris Matthews and Rachel Maddow, both of whom are on record as using their shows in support of Democratic causes. Further, parent company NBC uses its Today show and NBC Nightly News in much the same way. Democrat Steven Cohen stooped to comparing Republicans to Nazi propagandist Joseph Goebbels for pointing out the enormous costs of Obamacare. Meanwhile, the socialism underlying Obamacare is closely ideologically related to 20th century fascism. For years, the American Civil Liberties Union has been filing lawsuits against Christians in the country over prayers and gatherings in public places, prayers in public schools, the teaching of Creationism or Intelligent design, or anything that has to do with the Bible. On August 3, 2010, the City of New York passed a unanimous resolution granting the building of an Islamic mosque just blocks away from the site of the twin towers of the World Trade Center, which was totally destroyed by fanatical adherents of Islam on September 11, 2001, killing nearly 3,000 people there and in simultaneous attacks in Washington D.C. and Shanksville, Pennsylvania. Utterly-condemned by the nation at large, the ACLU and its sister group New York Civil Liberties Union said in a joint statement about the new resolution "We congratulate the Landmarks Preservation Commission for promoting our nation's core values and not letting bias get in the way of the rule of law. The free exercise of religion is one of America's most fundamental freedoms. For hundreds of years,our pluralism and tolerance have sustained and strengthened our nation." Clooney stared in the film The Peacemaker, in which he played an American military man defending the country from a nuclear attack; scenes in the film showed him using a gun to defend himself and others. Sarah Brady fought for gun laws to make it tougher for the average citizen to purchase and own one, which was the end result of her husband being seriously wounded by John Hinckley in March, 1981, when he tried to assassinate President Ronald Reagan. "We hope that it's innocuous and there's been no laws violated," said James Jay Baker, chief lobbyist for the National Rifle Association. "It's obviously interesting that Sarah would be purchasing firearms of any kind for anybody, given her championing of restrictive guns laws for everyone." This focus on obesity, however, didn't stop the Obama family from going to a Mount Desert ice cream parlor in North Carolina (where a typical vanilla is very high in saturated fat and calories, alongside any other premium ice cream) ; nor did it stop Michelle Obama from enjoying cheeseburgers and fries on the campaign trail in Milwaukee; nor did it prevent Barack Obama from loading up on two Philly cheesesteak sandwiches, washed down with a mint chocolate chip ice cream cone while in Pennsylvania In addition, Barack Obama appointed Regina Benjamin, an obese woman, to be the US Surgeon General. Regina Benjamin and the Obamas have yet to publicly discuss the significant obesity problem within the lesbian community. In a short interview by CNS News on October 1, 2009, liberal documentary film maker Michael Moore was asked by reporter Nicholas Ballasy "Critics would say he’s [Moore] been very successful under a capitalist system. How would you justify making a movie where you paint capitalism as evil?" Moore replied "Well, capitalism did nothing for me, starting with my first film. You know, I had to pretty much beg, borrow and steal," he said. "The system is not set up to help somebody from the working class make a movie like this and get the truth out there." In 2001 the state legislature and many liberals in Arkansas clamored for Republican governor Mike Huckabee to raise taxes to shore up an estimated $142 million budget deficit. 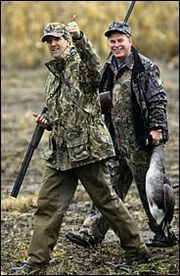 In response, Huckabee create the "Tax Me More" Fund, in which liberals who feel they are guilty of not contributing more to the government can voluntarily do so and, according to spokesman Rick Nelson, "assuage their guilt". "We share responsibility for the [budget] fiasco," said state Senator John Riggs, a Democrat who represents Little Rock. "I am responsible for my actions and am as guilty as everyone else for letting the governor's budget go through." Riggs ponied up $100 for the fund. One week after implementing the fund at the end of November, 2001, the fund amounted to $260. By the following April, the amount was between $2,000-$3,000. The program ended in June, 2002. 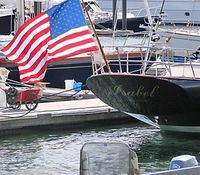 Kerry purchased, and most importantly - ported - the yacht in Rhode Island, where he's aware of the 1993 repeal of the Boat Sales and Use Tax. He won't have to pay a dime in taxes for his new toy. On January 2, 2013 a deal was completed between Gore and the Qatar-owned Al Jazeera, allowing the sale of Current TV to the Middle Eastern news organization infamous for being the mouthpiece of terrorists like Osama bin Laden and Hamas. Being a green-energy man, Gore wouldn't allow advertizing from oil companies on his network, yet he sold it to a country whose prime source of revenue is from oil. 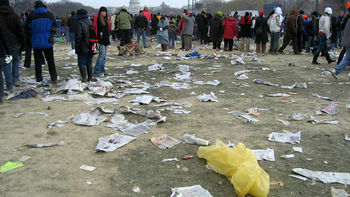 "Al was always lecturing us about green," said one disgruntled staffer. "He kept his word about green all right—as in cold, hard cash!" Actress Gwyneth Paltrow, a long-time "champion" of the environment, ended a small celebration in Hollywood, California involving a newly-released video by British singer Paul McCartney, stepped into her car and went to dinner with her husband on April 18th, 2012. The restaurant was four doors down the street - 0.06 of a mile - and took approximately 10 seconds, while several others who were at the same event and went to the same restaurant walked the distance in less than a couple minutes. The car she was in - a chauffeured Lincoln Town Car - is a gas guzzler, getting 15 miles per gallon or less in the city. 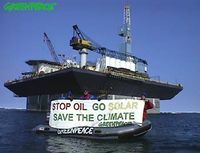 To protest the drilling of oil from which gasoline is made, Greenpeace frequently uses vehicles powered by gasoline engines, in this case a Zodiac inflatable boat with an outboard engine. DiCaprio, a well known Hollywood actor turned environmentalist is highlighting the plight of polar bears and global warming; however, in doing so, he is using reams and reams of unrecycled paper. The New York Times prints over one million newspapers daily; it admitted to an ordinary blogger that its own use of recycled paper is 21% to 28%; he further stated that it "takes 75,000 trees to print the Sunday edition of the New York Times" . Taking away the top percentage for recycling leaves well over 50,000 trees cut down. The Sonoran pronghorn antelope (Antilocapra americana sonoriensis) is listed as critically endangered by the Federal government, numbering about 80 estimated animals in their former range within Arizona. Groups such as Defenders of Wildlife, Wilderness Watch, and other environmentalists are opposed to the contruction and placement of watch towers within the Cabeza Prieta National Wildlife Refuge by the Department of Homeland Security to detect illegal immigrants crossing into the United States, stating that "human presence" would disturb the animals in such a way as to drive them to actual extinction. "They always end up causing a lot of unintended consequences," said George Nickas, director of Wilderness Watch, about the towers. "I don't know which straw will break the camel's back, so to speak, but I do think what's happening will incrementally lead to more and more difficulties." For decades Labor Unions allegedly presented themselves as defenders of the oppressed, and against the "capital exploitation of labor." Labor Unions were supposed to have won for workers certain rights, guarantees, benefits, and fair wages. Unions were said to have forced businesses to be accountable for "fair labor practices," and through the higher pay scales they won for themselves paid more taxes on income collected from their paychecks by employers which had the support of government. Trade Unionism had been an important part of the liberal coalition within the Democratic party. In the late 1990's, Unions began protesting the loss of jobs through outsourcing. This page was last modified on 30 April 2014, at 10:15.